From high-society balls and fashion shoots to portraits of artists and scenes from urban life in France, this handsome volume—which features an open spine binding so that it lays flat to show off the photographs to their best advantage—showcases Doisneau’s best photographs for Vogue Paris. Celebrated photographer Robert Doisneau worked for Vogue from 1949 until 1965, illustrating a postwar France filled with a renewed zest for life. His little-known images of haute couture featured models like Brigitte Bardot and Bettina, who he photographed in the studio and out on the streets. He chronicled the members of the café society in their stately homes and at glamorous costume galas, dancing the night away. Best known for his humanist approach, he masterfully captured scenes from everyday life—from the grace of a wedding procession over a footbridge to the petulance of a child impatient for cake. Doisneau’s photographs captured the spirit of the era and featured celebrities like Karen Blixen, Picasso, Colette, and Jean Cocteau, as well as jazz musicians, movie stars, and humble craftsmen at work. Legendary Vogue editor in chief Edmonde Charles-Roux’s personal homage to the photographer—who was her friend and colleague—offers intimate insight into the man behind the camera, as complex and beautiful as the people and places he immortalized. Robert Doisneau (1912–1994) was a major twentieth-century photographer. His photographs were published in Life, Paris Match, and Vogue. Major posthumous retrospectives of his work have been held in Paris, at the Art Institute of Chicago, and at the Bruce Silverstein Gallery in New York. Flammarion has published Robert Doisneau: Paris (2005/2010), Doisneau: Portraits of the Artists (2008), Robert Doisneau: Palm Springs 1960 (2010), Robert Doisneau: Paris Les Halles Market (2011), and The Best of Doisneau: Paris (2014). Edmonde Charles-Roux was an author and former editor-in-chief of Vogue Paris. "While there have been many books about Doisneau, this is the one that has been eagerly awaited. Between the pages you see his spectacular images of fashion icons Brigitte Bardot and Bettina, chronicles of Paris’ café society, and portraits of celebrities like Colette, Picasso, Jean Cocteau." "From high-society balls and fashion shoots to portraits of artists and scenes from urban life in France, this volume showcases Doisneau’s best photographs for Vogue Paris. Here are masterfully captured scenes from everyday life that captured the spirit of the era and its celebrities." "In this new compendium, a generous exposé of more than 300 pages, are some of the lensman’s most spectacular compositions from the era—portraits of Colette, Picasso, Brigitte Bardot and lively café society—that together form a compelling picture of the period and the man who captured it." 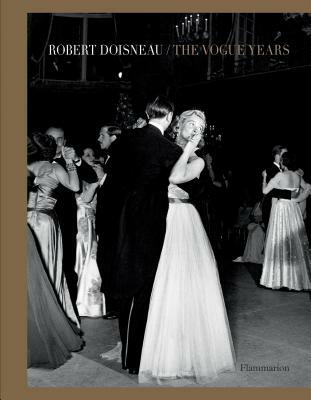 "The Vogue Years Captures Doisneau’s Keen Eye"
"Robert Doisneau: The Vogue Years brilliantly collects his best photographs during his time shooting for the magazine. There are little-known images that feature Brigitte Bardot and Bettina, both of whom he photographed in the studio and on the streets. . . . A joy to read, it is very easy to admire the photos on their own right. These photos were shot with film and long before the advent of Photoshop. Every nuance of the image is by the photographer. The light and shadow, the sharp contrasts and dreamy silhouettes, those were achieved because Doisneau planned them to be there. Admiring the photos equates to also admiring the photographer. . . . If you love to collect books about fashion, Robert Doisneau: The Vogue Years one is for you. If high society is your cup of tea, this book is for you. And if you are a historian and wants to see the world through a fashion lens, then this book should be in your collection."